In 1965, thirteen students from area colleges participated in the Southern Christian Leadership Conference (SCLC)’s Summer Community Organization and Political Education (SCOPE) project, a civil rights initiative announced by Martin Luther King in April of that year. The goals of the project were political education and registering African Americans to vote in different locations throughout the south. The group was assigned to Williamston, NC, after attending training sessions in Atlanta, GA. Participating in the student-led group was Amherst professor Hugh Hawkins. Recognizing the significance of the experience, Professor Hawkins saved his letters and documents from his summer with the SCOPE project. We in the archives are fortunate to have received Professor Hawkins’s papers, containing these notes and letters, as well as printed material from SCOPE, newspaper clippings, and audiotapes. 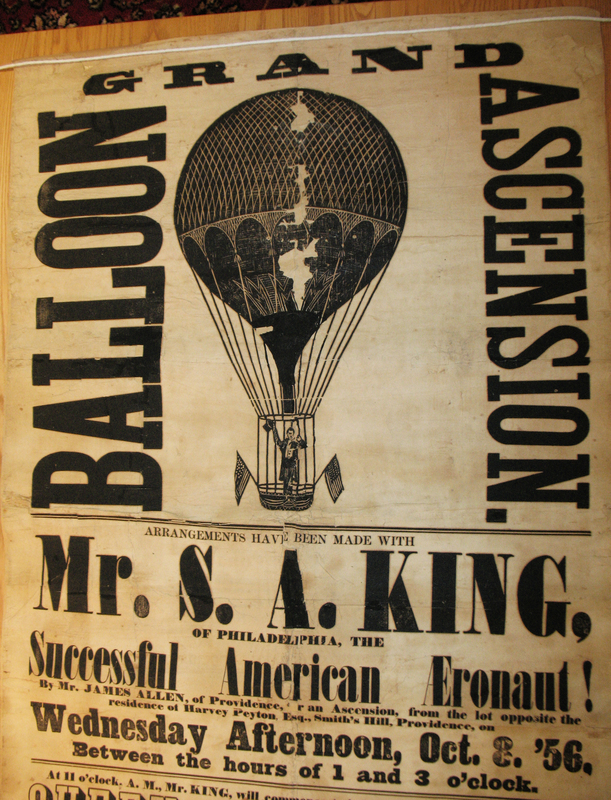 These materials give first-hand insight into a turbulent and heroic time in the nation’s history. I think this little find should rank high in the annals of Art and Sports. 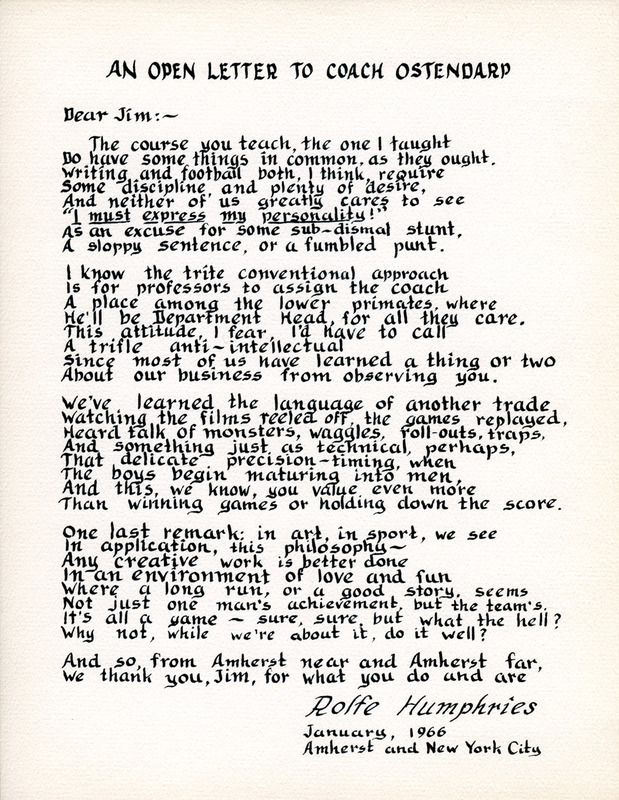 It’s a poem written by Rolfe Humphries (AC 1915) in tribute to Amherst College football coach James Ostendarp in 1966. Humphries had at that time recently retired from Amherst as a professor of English; Ostendarp had just finished his seventh football season at Amherst and would go on to become the winningest coach in the college’s history. From: Rolfe Humphries (AC 1915) Papers, box 3, folder 44.